Distinctive Designs & Covent Garden. Florist in Crewe & Nantwich. 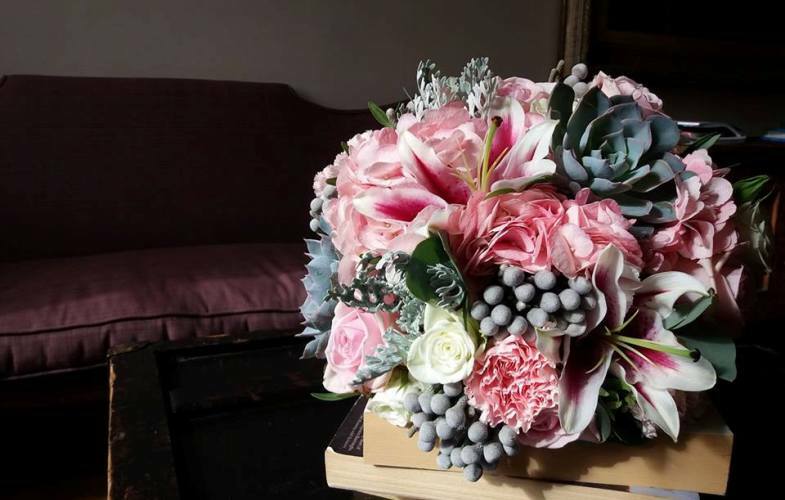 ​Weddings are our passion and we love creating unique floral designs to perfectly complete your big day. 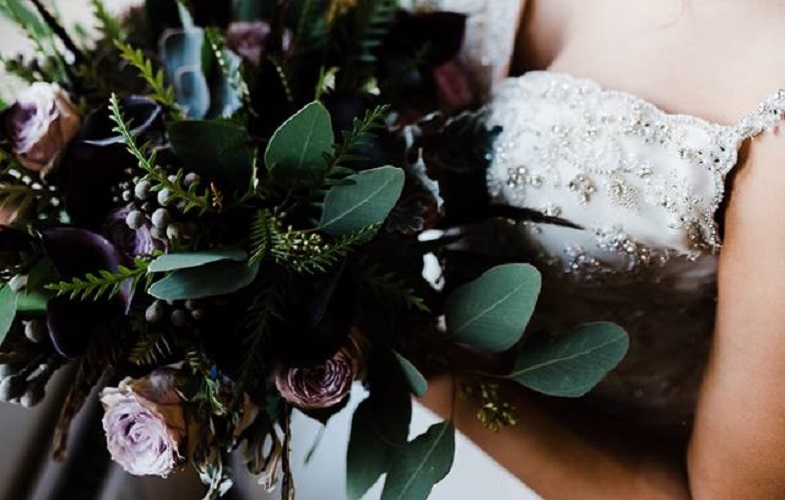 As venue dressors and skilled, experienced florists we can create your perfect theme, from rustic and country graden, to romantic and contemporary. 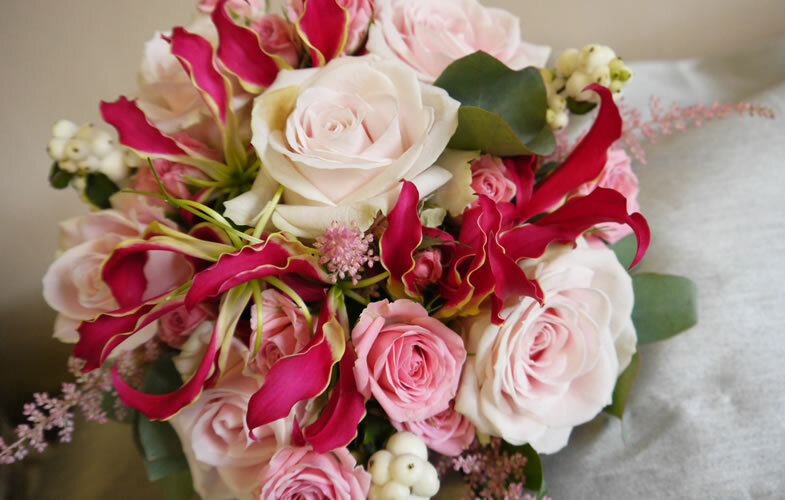 Bridal flowers and bouquets, buttonholes and hair flowers, ceromony decoration and archways, through to reception table centres and cake flowers. 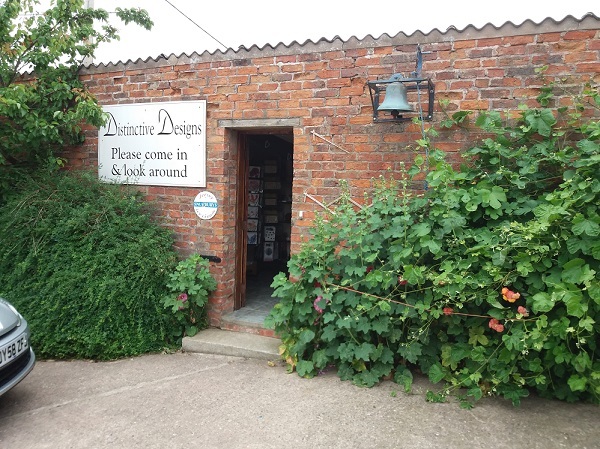 Please see our Wedding page for pictures and ideas.We also have many items available to hire, such as mirrors, candelabra, bunting, log circles, vases, Mr & Mrs signs and crates, please see our Venue Dressing page. We deliver to wedding venues across Cheshire and Stafforshire, whether it be a country house, castle, hall, or marquee, we will work with you to create your happy ever after. 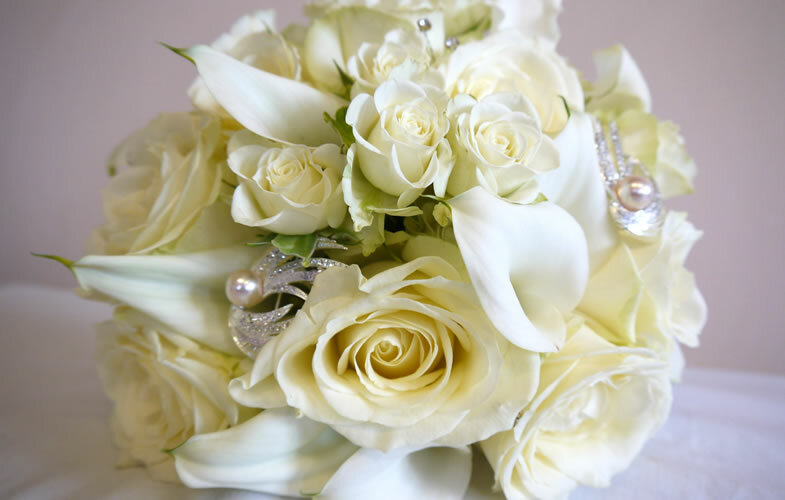 Please call to arrange a consultation with Dawn to start designing the wedding of your dreams. 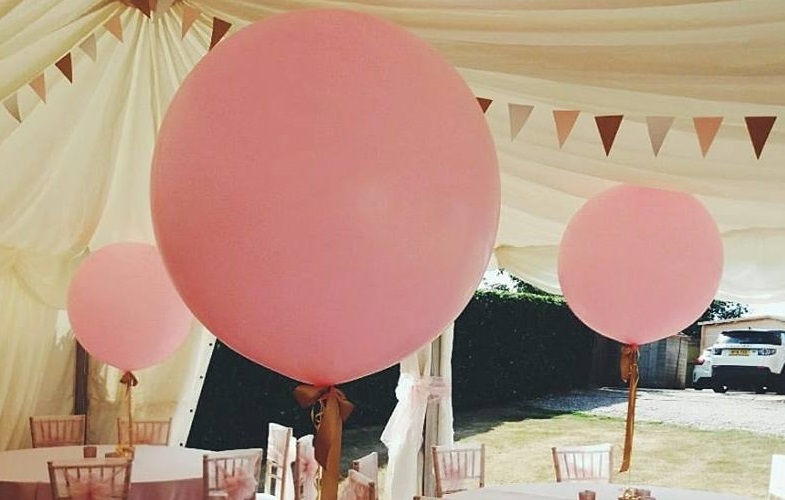 ​Balloons will add the wow factor to any party. 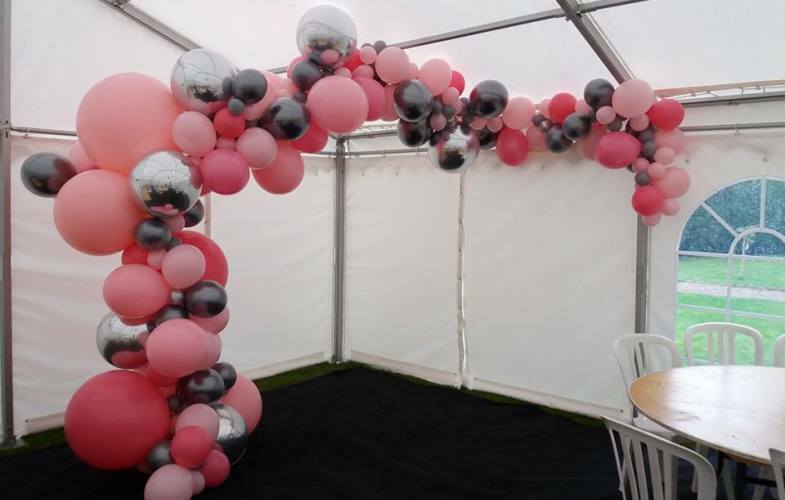 With exciting archways, latex / foil table centres, dramatic exploding balloons and stunning organic decor, we can deliver 7 days a week to your choosen venue. Balloons can be ordered via our Balloon pages or call in to discuss your individual needs. 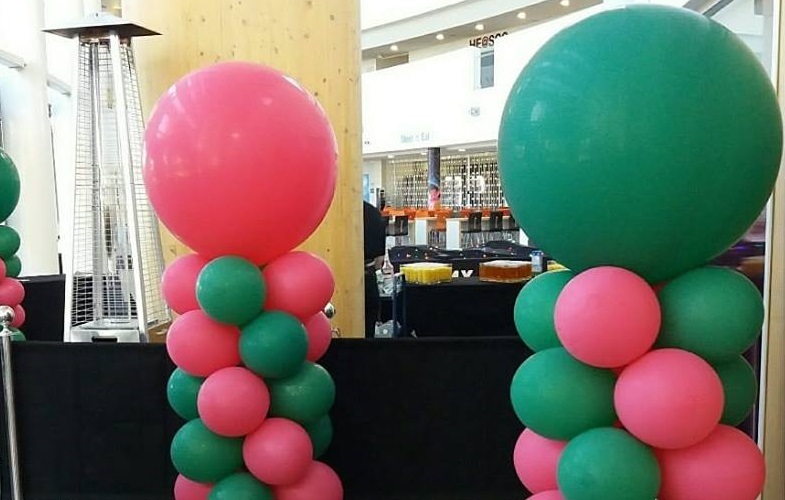 We can cater for large corporate functions, events, and grand openings, please visit our Party Balloons page. Our balloons can be inflated with helium or air. We also have a large selection of balloons for all occasions always available for you to collect or have delivered. Birthdays, anniversarys, get well soon, christening and new baby to name but a few. Our large numbers come in pink, blue, silver and gold. 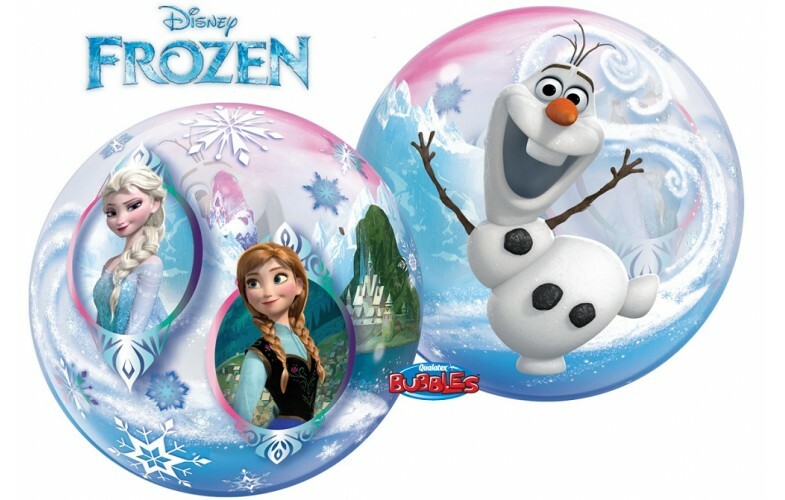 Our bubble balloons are so popular, with lasting times of up to a month they are the gift that keeps giving. When saying goodbye to a loved one you want a floral tribute that is special and unique. 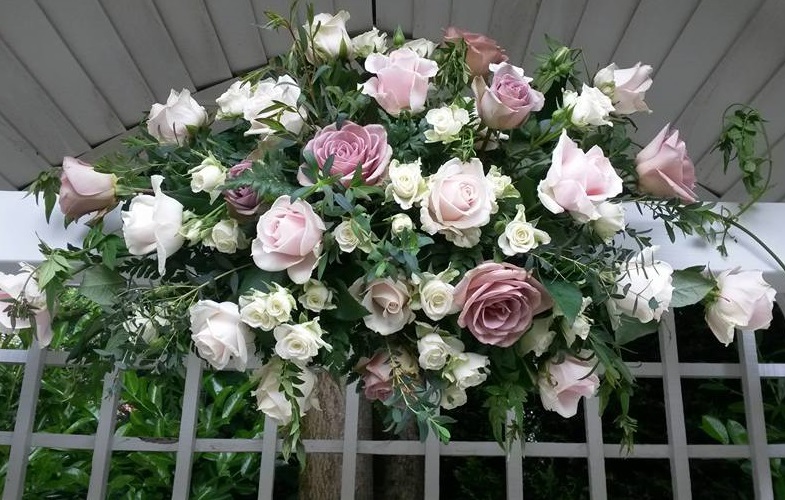 We take time and understanding to create bespoke floral tributes and designs. 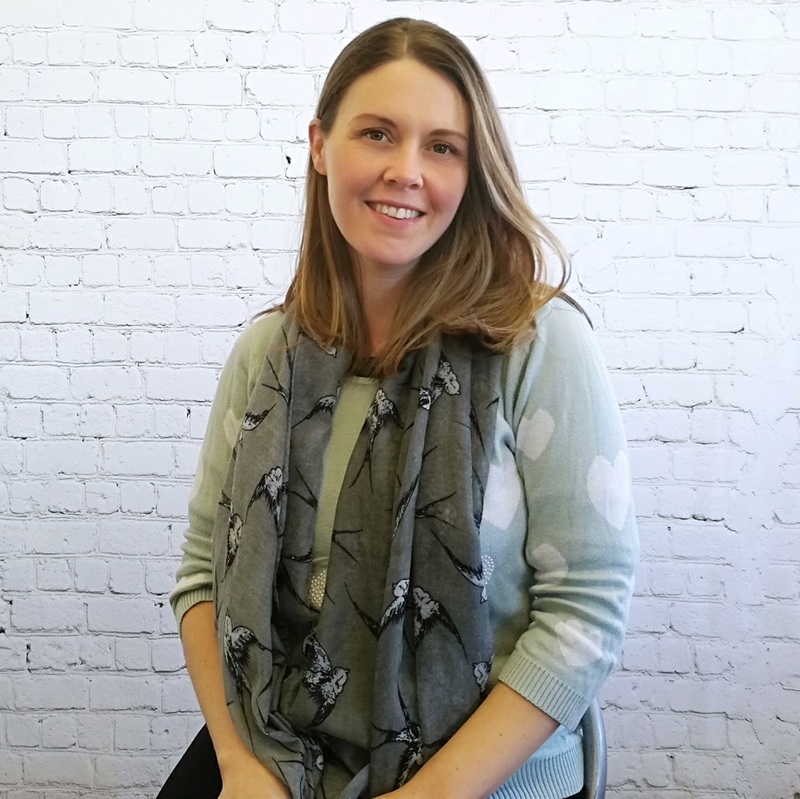 Whether it is an intimate goodbye and you are looking for one design to adorn the coffin, or a grand farewell with individual designs from all their nearest and dearest we have lots of designs to choose from. 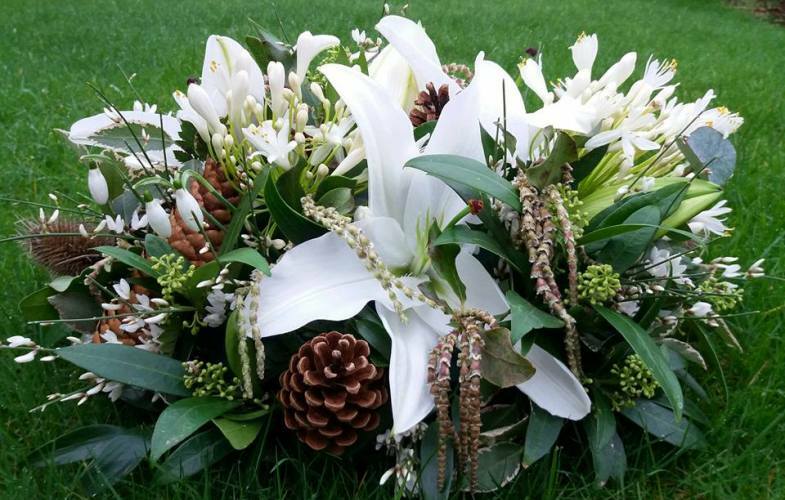 Our designs include a coffin spray, heart, pillow, wreath, cushion, sheaf, bouquet or basket. We can also create bespoke designs and themes, such as a butterfly, horse-shoe, tractor or football. 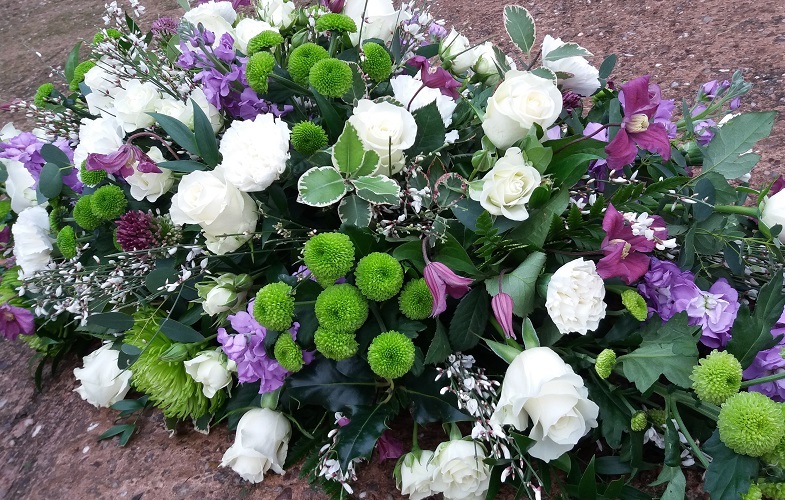 Please call us to arrange a consultation, visit our Funeral page to see examples of our work, or order online through our funerals page. Are you looking to transform your wedding venue? Our white chair covers with co-ordinating organza sashes will add the dream factor to your day. We will dress your chairs at a time to suit you and the venue, collect them afterwards and launder them. We cover Crewe, Nantwich, Sandbach, Middlewich and Winsford as well as venues across Cheshire and Staffordshire. Please visit our Chaircovers page. 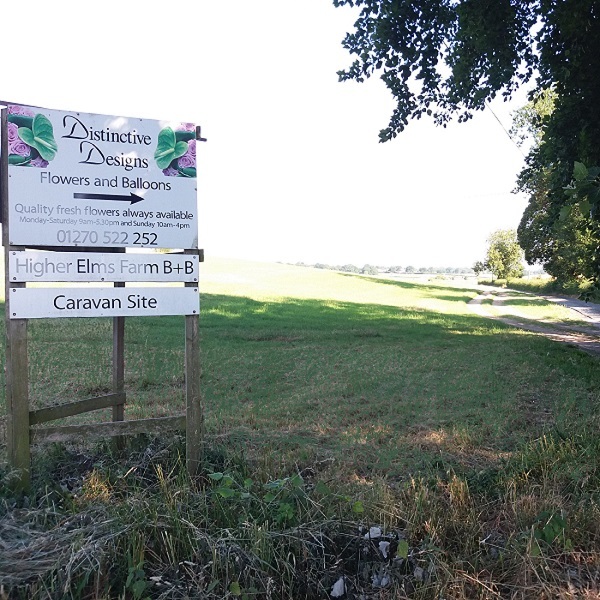 Distinctive Designs & Covent Gardens delivery area includes Acton, Alpraham, Alsager, Audlem, Bradwall, Bunbury, Church Minshull, Crewe, Congleton, Faddiley, Hatherton, Holmes Chapel, Knutsford, Middlewich, Nantwich, Northwich, Peover, Sandbach, Sandiway, Shavington, Tarporley, Warmingham, Weston, Wettenhall, Willaston, Winsford, Wistaston, Worleston, Wychwood Park. We deliver to all these areas on the following days: Monday, Tuesday, Wednesday, Thursday, Friday, Saturday and Sunday. For weddings we deliver to Abbeywood, Alvaston Hall, Belle Epoque, Carden Park, Cranage Hall, Crewe Golf Club, Crewe Hall, Crown Hotel Nantwich, Colshaw Hall, Combermere Abbey, Cottons Hotel, Grosvenor Hotel Chester, Grosvenor Hotel Pulford, Hunters Lodge, Keele Hall, Nunsmere Hall, Peckforton Castle, Portal Golf Club, Rookery Hall, Sandhole Oak Barn, The Ashes, White Lion at Weston, Willington Hall, Wrenbury Hall, Vale Royal Abbey. We also deliver to Marquees in and around Cheshire, village halls and function rooms. 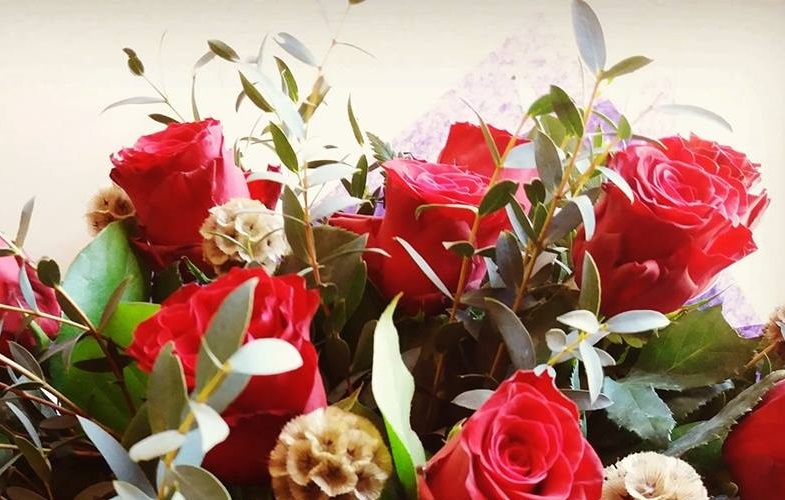 We are part of Florist Exchange, visit their website to find a florist in your chosen area, "listing local florists worldwide"